Hebrew / Paper / 9,5 x 8,8 cm. /  ff. 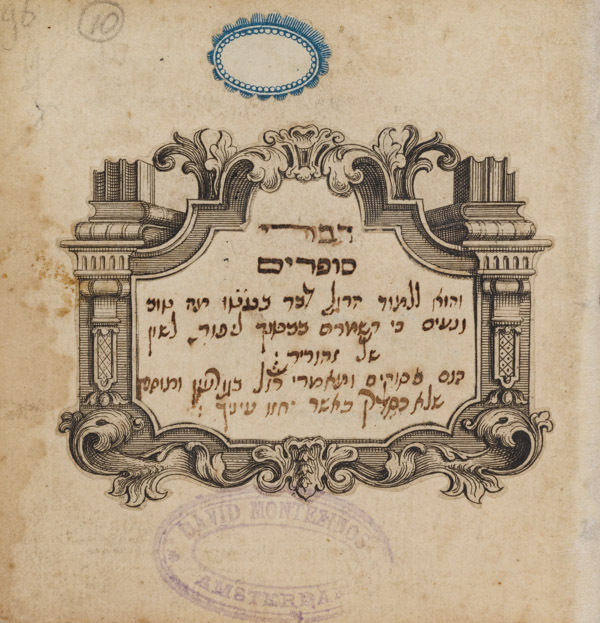 (f. 7-15 blank) / Neat Sephardic cursive writing / Title written in engraved frame, cut out and pasted upon the page.